Digital pictures and video have transformed our lives. I have so many pictures and videos of my kids that by the time they are in college, I’ll have Terabytes of data. It is so easy these days to capture anything with a digital image. There is no need to worry about having film developed, or being careful to only take good pictures since you only have a limited amount of pictures left on the roll in your camera. Now, we’re only limited by the amount of storage space our digital devices have. As an example, the MicroSD card in most of our smartphones can contain over 18,000 pictures. 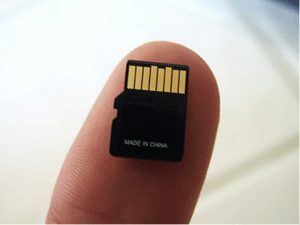 MicroSD cards can have a Capacity of up to 128 GB. Often, digital images are involved in criminal investigations. Imagine the treasure-trove of information that can be obtained from a cell phone, tablet, or digital camera when it is seized from a suspect. In my experience, those involved in criminal activity just can’t help themselves when it comes to documenting their criminal activity in pictures or video. In literally hundreds of cases, I found suspects taking pictures of themselves using drugs, vandalizing property, committing arson, abusing children, and in some cases, even murder. While having picture or video evidence of a suspect actually committing a crime is the type of evidence that makes a prosecutor excited about a case, the digital image is just the beginning of the story. Imagine if we could tell what camera was used to take a certain picture that was found on the Internet, or could link an image found on a suspect’s computer with their personal phone or digital camera found at their home? This is all possible thanks to something called metadata. A forensic computer examiner can examine a picture or video for evidence of Exif data and use special programs to interpret the information. There are many free programs available on the Internet to do this and many photographers use Exif data to improve their photographs. In fact, Exif data was originally created for photographers so they could look at their camera settings stored within the Exif data to find out what settings worked or didn’t work when taking pictures under different conditions. To illustrate how Exif data can be used to solve a crime, imagine this scenario. I was investigating a case where an adult male was suspected of having a sexually explicit conversation with a 14-year-old female via the Internet. This adult male was sending explicit text messages and it gradually escalated to him sending images of…well, you can image, to the victim. When the victim reported this to a teacher at school, our unit became involved and we forensically analyzed the victim’s cell phone. When reviewing the pictures on the victim’s phone, we found the pictures of the suspect. None of the images showed his face and all of them were obviously taken from inside of a residence. Since he sent the messages from his cell phone, we were able to trace the phone number they came from and identify the sender. When we reviewed the pictures sent from the suspect, each image contained Exif data. The Exif data showed that the pictures were all taken from a Samsung cellular phone and since he had his geotagging feature enabled on this phone, each image contained the latitude and longitude of exactly where the phone was when the image was taken. This allowed me to create a Google Earth map, which happened to place a big red dot right over the suspect’s apartment. Just from the Exif information we could prove that the particular sexually explicit image was taken by the suspect’s phone, from the suspect’s home, at a certain date/time (since phone’s clocks are generally set by the cell phone network, they are reliable). Another critical element to prove in a crime is that of venue (proving the crime happened within a certain jurisdiction). With Exif data, it is not difficult to prove this at all, since we know the exact GPS coordinates of the crime scene. Exif data has also been used to locate victims or suspects of crimes from images and videos posted on the Internet. Imagine watching a video that was uploaded to the Internet which depicted the racially motivated assault of a person. If the camera used to create the video is capable of embedding Exif data and the website the video was uploaded to doesn’t remove Exif data, investigators can download the video and examine the Exif data to potentially find out more information to lead to a suspect. While Exif data has proven itself to be an amazing tool for law enforcement, it has also been exploited by criminals. 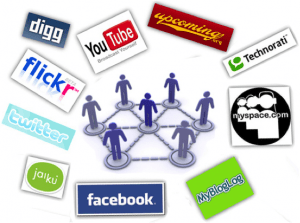 If you have used any of the geotagging features of your favorite social media sites (Twitter, Google+, YouTube, Facebook, Foursquare, etc.) then you are aware that you can share your location with your posts and pictures. This technology is similar to Exif data by utilizing the devices internal GPS functionality to embed your longitude and latitude into your post. Criminals have begun using this technology as another tool for cyberstalking. By downloading images and videos that people post to their personal websites or social media sites, tech-savvy criminals can do the same technique law enforcement employs to locate where someone was at when they created the image. If you are a victim of stalking or have been threatened by someone in the past and have gone to great lengths to hide from them, all it would take is them getting ahold of one image placed on a social network site taken by your cell phone or high-end digital camera with built-in GPS. If that picture was taken at your home, work, child’s school, etc. that’s all they would need to find you. It’s a scary thought and one that people must consider when using this kind of technology that is generally turned on by default. This entry was posted in Cybersecurity and tagged Cybersecurity, Cyberstalking, InfoSec, Internet Safety. Bookmark the permalink. Thanks for your response. How about a paid consultation only. Just to get some ideas. I really appreciate the offer, but the problem isn’t money, it is time. If I had the time I would happily help out for free. Would you accept to be my daughter’s mentor on this science fair project? I’m sorry, I just saw these comments from you. I appreciate you considering me to be your daughter’s mentor, but unfortunately I just don’t have the time it would take to provide the mentorship she deserves right now. I would suggest finding a local college or university with a computer science department and check to see if they have anyone available. Thank you very much for your suggestion. We were also thinking about checking the pictures our friends post on social media such as facebook and Instagram and let them know what information is embedded in their pictures. We also thought of comparing facebook and Intagram to see if the hosts do any measure to protect the information. What are your thoughts about this? That is a great way to raise awareness for sure, as long as you do it privately. I have seen many websites strip our metadata just to reduce the file size of a picture. Some sites on the other hand, intentionally want to keep location information (like Flickr) as that is part of the user experience. Thanks for this very interesting article. Do you have any suggestion on making a science fair project out of this idea (9th grade)? Grateful, you could do a simple science fair project by taking some pictures with a smartphone and then downloading the images. The images could be examined for exif data using a free tool like Opanda iExif (http://opanda.com/en/iexif/). You could show the images in Hex view to show the science fair what the digital content of images looks like, then show the exif data results, including the lat/long of where the image was taken. Then explain the dangers of this as I described above. Good luck!